If you own a vehicle, you should do some regular maintenance along the way; otherwise, your car will most likely experience some preventable problems in the future. If these issues are serious, they could end up costing you a lot of money. Preventative maintenance on vehicles is important in order to prolong their lifespan and to spare the owner the trouble of having to buy a new vehicle because the old one stopped working prematurely. Preventive maintenance refers to the regularly performed tasks on a vehicle to lessen the likelihood of it failing. Things like oil changes, tire rotations, topping off fluids, and changing the brakes are all little tasks that can make a big difference. Preventive maintenance is a proactive approach taken while the vehicle is still working well. It aims to avoid an unexpected breakdown altogether, but there are some other benefits. Continuous use of a vehicle without the necessary maintenance of its critical parts will cause it to become unhealthy sooner than it would otherwise. Preventative maintenance helps keep your car in prime running condition. Making sure that you get the manufacturer-recommended maintenance for your car will ensure that it operates at peak performance. It will take you to work and other destinations without problems or delays, which is one less thing to worry about during your workday. Most vehicle owners don’t run their car into the ground and will sell it at some point. Maintaining your car regularly can yield a higher selling price compared to when it is in a state of disrepair. You can present the buyer with a copy of all of your maintenance records, which ensures peace of mind and makes your car an attractive proposition. Spending time to ensure that your car is regularly maintained will pay off by the time you sell it. Cars that are not properly maintained often become gas guzzlers. Regular oil changes and tire rotations work wonders in keeping your gas consumption and expenses at an appropriate level. When you drive your car, you expect it to take you to your destination without any problems, so you can imagine how troublesome it would be if your car suddenly stopped in the middle of an outing. You may be late for your appointment, or, worst case scenario, you might not make it to your destination at all. Preventative maintenance can help you avoid these road troubles altogether. Driving a clean, well-maintained car has one last fantastic side-effect: it makes you feel good. It’s easier to be relaxed when you’re driving if you know that your car will not fail you. 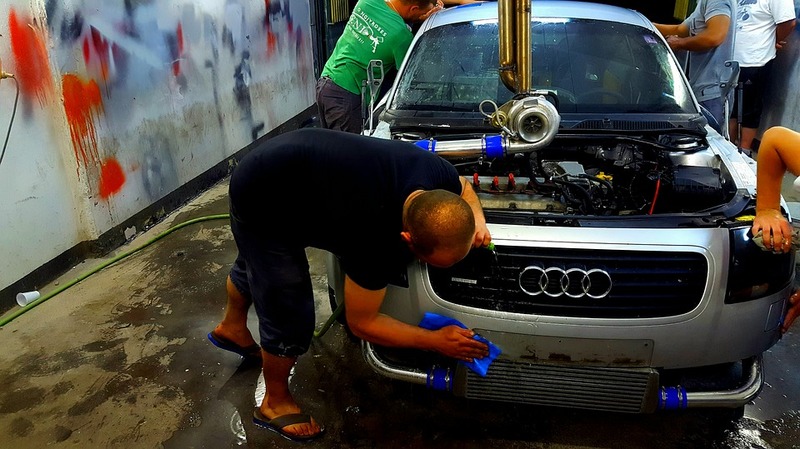 Giving your vehicle some tender loving care at regular intervals will pay off in terms of fewer repair expenses, and it will spare you the trouble of having to deal with car problems in the middle of any trips you might take. The benefits of preventative maintenance far outweigh any inconvenience they may cause in the moment.